Gor Mahia to play Nyeri combined on Madaraka day celebration in Kabiruini Stadium, Nyeri before Nyeri NASA mega rally led by Raila Odinga. - Bana Kenya News, Real African Network Tubanane. Home featured Sports Gor Mahia to play Nyeri combined on Madaraka day celebration in Kabiruini Stadium, Nyeri before Nyeri NASA mega rally led by Raila Odinga. Gor Mahia to play Nyeri combined on Madaraka day celebration in Kabiruini Stadium, Nyeri before Nyeri NASA mega rally led by Raila Odinga. Gor Mahia famously known as Kogalo will play at Kabiruini County Stadium in Nyeri Thursday afternoon for an exhibition match against Nyeri Combined. The match which will be witnessed by the NASA presidential flagbearer before the Mega Rally will hold people together from different political divide. Gor Mahia to play Nyeri combined on Madaraka day special match. The match will focus on bringing new talents and new recruits(players) to Gor and other Major KPL clubs. The Match will be witnessed by the Nyeri Governor Samuel Wamathai and the NASA principles. The main agenda behind the match is preaching national cohesion and community integration. The match will only focus on the social and economic issues affecting the country and bring people together. 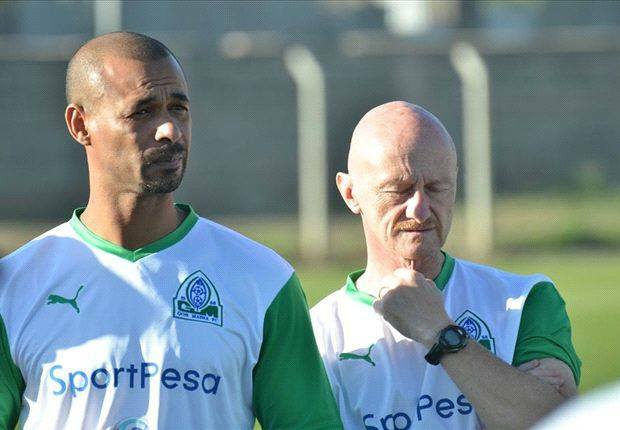 It will be Gor Mahia coach Marcelo Ferreira's final engagement with the team before he flies to his native Brazil for a fortnight-long break. "The government has selected the two sides in view of the General Election that is due to take place in August. The country is heavily polarized at the moment and so we thought of bringing in these two teams, who draw most of their fans from opposite sides of the political divide as a way of encouraging peaceful coexistence during this period," said State Department of Sports Principal Secretary Carolyne Kariuki. "The match will be only for integration purposes and maybe the governor or county commissioner will decide to reward the winner but it is not a competition." Said Carolyne Kariuki.